Three years ago my journey of developing iPad apps began. I have been developing apps since even before the iPad was out. The first app I developed was called Mobile Articulation Probes (no longer available for sale), and it was an articulation therapy app that allowed SLPs to select a phoneme and have the words organized into separate positions and present the picture to the child while SLPs were able to track accuracy. That app was the app that all articulation apps on the market today based themselves on, and I am very proud of that. Three years later, I find myself having been involved in the development of over 50 applications for iOS devices all for speech and or language development. The journey has been one of learning and adapting to new technologies. 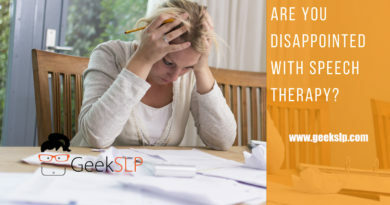 While I was always a computer geek, an avid video game player and a graphics oriented person with every device and every new app I create I learn more and more about how to create apps that allow SLPs to make an impact on children’s lives. As I travel the world to present on the topic of app use for speech therapy, I get asked a lot about two things: how do you make an app? 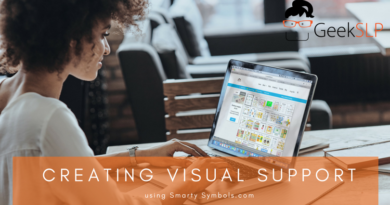 Today I am able to count on a team of programmers, voice over professionals, graphic designers, teachers and SLPs to help the apps come to life. Despite the fact that I am the one writing the content, planning the flow, theme and structure of the app, I am not able to develop any apps without a solid team of professionals. Despite the fact that everyone thinks that programming is the most challenging part of developing apps; I argue that it is the easiest part of it. Creating the content, selecting images, planning the flow of the apps, and making sure it is based on the evidence and it is engaging to children is the hardest part of app development for speech therapy and or special needs in general. 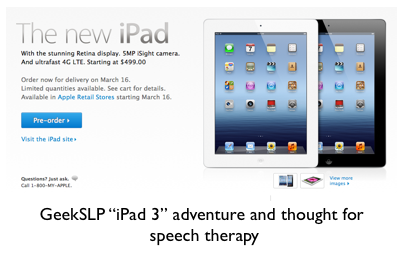 I often also get emails from speech therapists with ideas for apps. I have worked with over 25 SLPs to make their ideas come to life in the form of an app. They bring their concept to me, we discuss and plan the app. Together we have to decide the best way to present the materials, decide the theme, decide how the content will be organized, and even how we will present feedback to the child. This is a task that can take months to be finalized. Quite often SLPs that contact me don’t realize how big of a task it is to develop content for an application. Apps are much much more than an idea. Having an idea for an app account for only 1% of the work. An app author has to write the entire content for an app. While I manage and work with authors, I have also developed some of my own apps. Which means I had to create the entire set of content, plan the flow; plan the graphics, and all aspects of the app. So one could say that I am an author of apps, a designer of apps, and even a programmer (though I haven’t done much programming in a couple of years). Making an app come to life is my favorite part of the process. Yes, there are days that I get so obsessed with a concept for an app I have that I cannot go to sleep until I am able to draw and have a clear picture of what that app will look like. App development has brought out the most creative side of me. While I like to joke that I am not crafty enough to be a speech therapist, I do love planning the graphics of the apps. The last app I was involved in the development was released last week and it is called “ Social Quest”, the theme is centered about a quest targeting social skills. Social Quest was authored by Rosie Simms ( SLP), and she had to come up with hundreds of questions and answers for the various app settings. The theme and creating of flow of the app is done in collaboration between me, Sean Sweeney and the author. I still remember the moment that I had an “aha moment” for how users could select the target locations. I thought of a travel machine and asked our user interface professional to create one, but he had a hard time quite understanding what I wanted done. So, I decided to draw it for him. He was able to look at my drawing, and create a stunning interface for the app, that is attractive to the age of children who will be using this app. Each app I have created has a different complexity level, and requires different professionals and skills. I do believe that professional knowledge about language development, child development, professional experience does make a difference in app development for education regardless of the area. 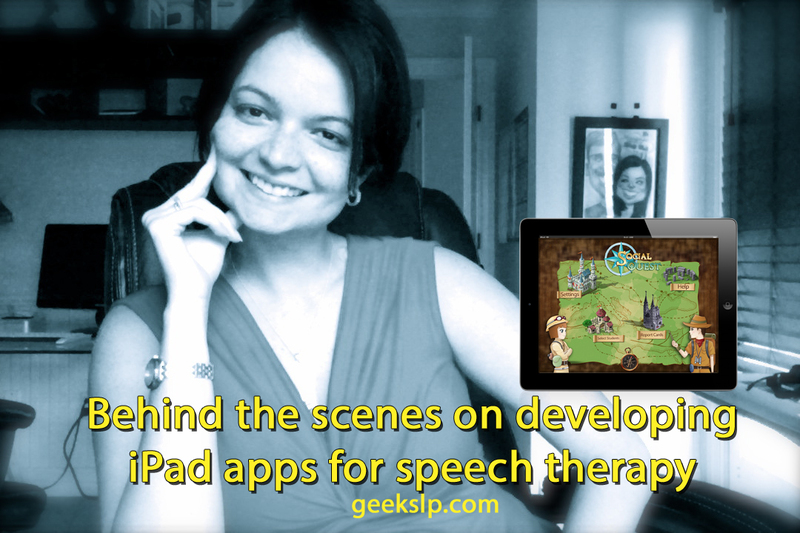 App development for speech therapy is a lot more than programming codes. The codes are just a part of what holds strong concepts and lots of planning together. I am lucky to count with a group of 10 speech-language pathologists and parents that belong to the advisory board. 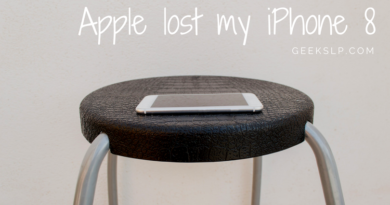 They are key to providing feedback to the apps I create. App development for speech therapy is also a very fluid task, in which we receive feedback from professionals that make our apps even better and perfect it with every update. An app created three years ago, cannot reflect today’s needs without a series of updates. Maintaining the high standard all the 50 apps I was involved in developing is my priority. The journey of app development has been so rewarding, and the feedback I get from other SLPs at conferences I attend has been phenomenal. I am very thankful to belong to a profession that so many strive to incorporate new technologies. If you are interested in developing app you can submit it here.